"A hilarious sales simulation game, time for your first day!" 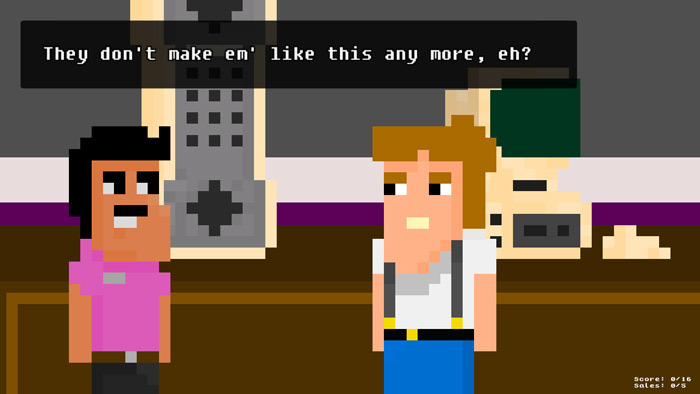 Sassy Salesman Simulator is another fantastically hilarious pixel art masterpiece from those guys over at Point Bleep Studios. The premise is you’re a salesman in an ancient technology shop and you have to make decisions to sell your ancient goods to your customers you will also pick up bonus points if you can choose which item is right for the customer and sell it to them at the first attempt. The interactions with customers are absolutely hilarious at times and you will even have some moral decisions to make in what information you give to the customer sometimes it will work to lie other times it will backfire on you and getting the balance right can be difficult but therein lies the challenge and beauty of the game, along with how great the dialogue is. 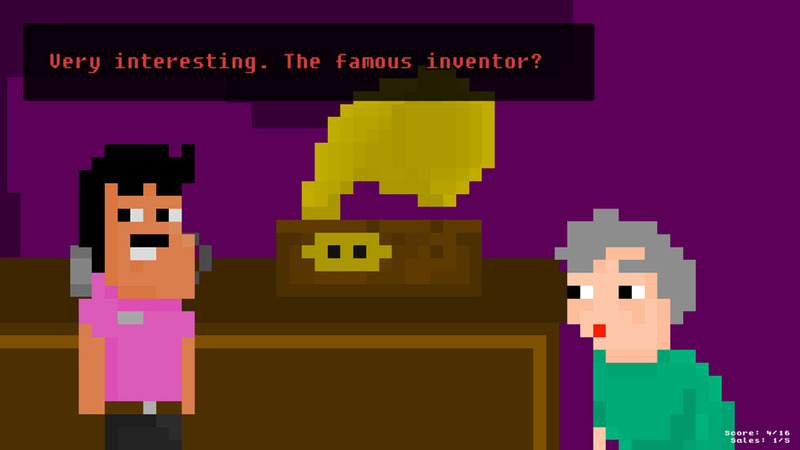 There’s not much more to say about Sassy Salesman Simulator than download it and play it, it’s free and it’s great!